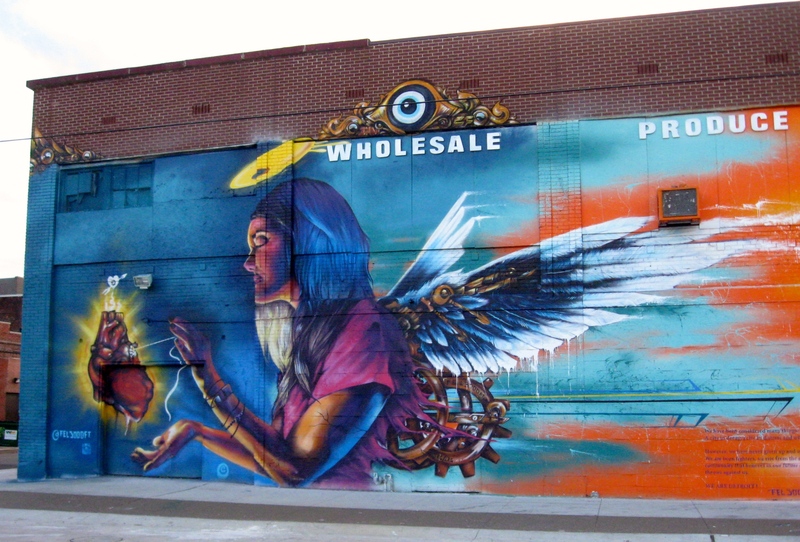 A couple of weeks ago I wrote about the fantastic street art wall murals that were being painted on various building in Detroit’s Historic Eastern Market. 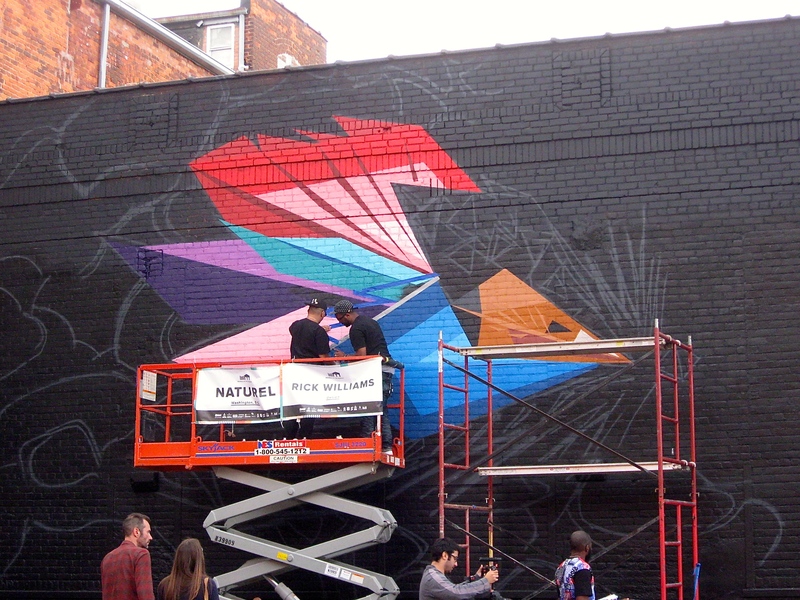 Over 45 Detroit area, out-of-state and international street and graffiti artists were invited to take part in a week-long outdoor street art event entitled: Murals in the Market. The event ran from September 17th through the 25th. 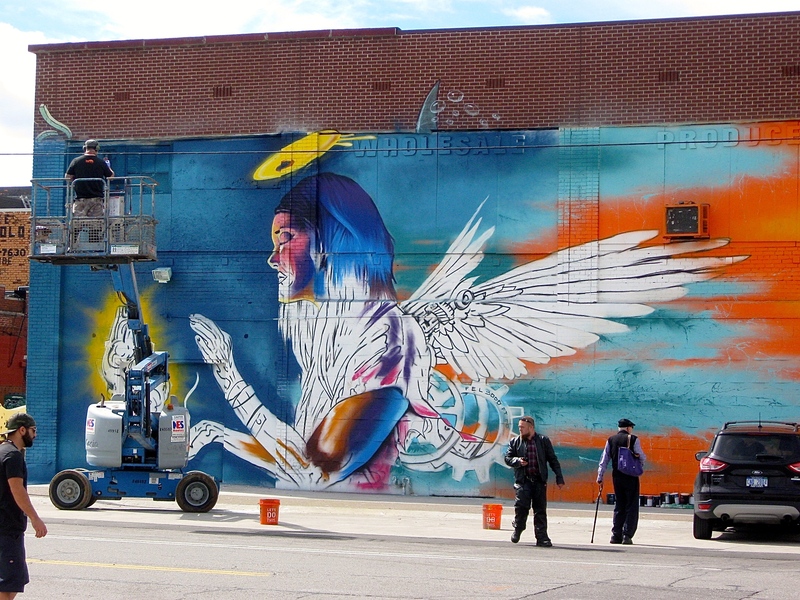 In my previous blog entry, I presented early renderings of six incomplete murals that were being created by some of the many street artists taking part in the event. I recently revisited the market on my bicycle to check out the final, completed pieces, including those that I featured in my last story. 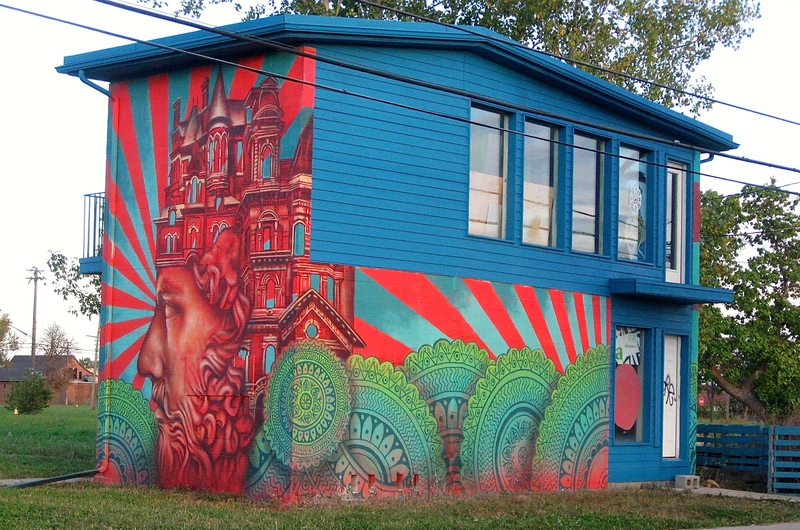 Simply stated, the huge, colorful murals at the market are fantastic! Below are photos of the series of early works that I featured in my prior blog along with a final picture of each. 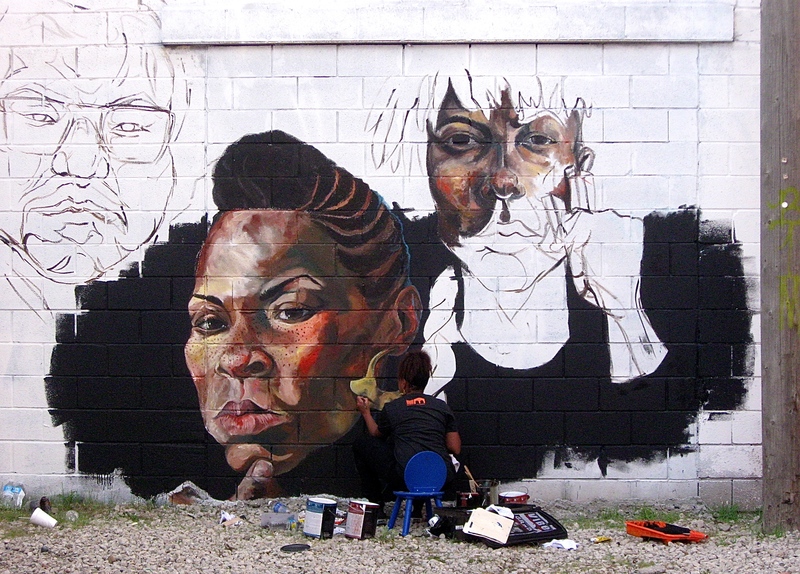 I’m always amazed at what the talented street artist can do, especially on such a massive scale. Some of the pieces are sized 30’ tall x 60’ wide. 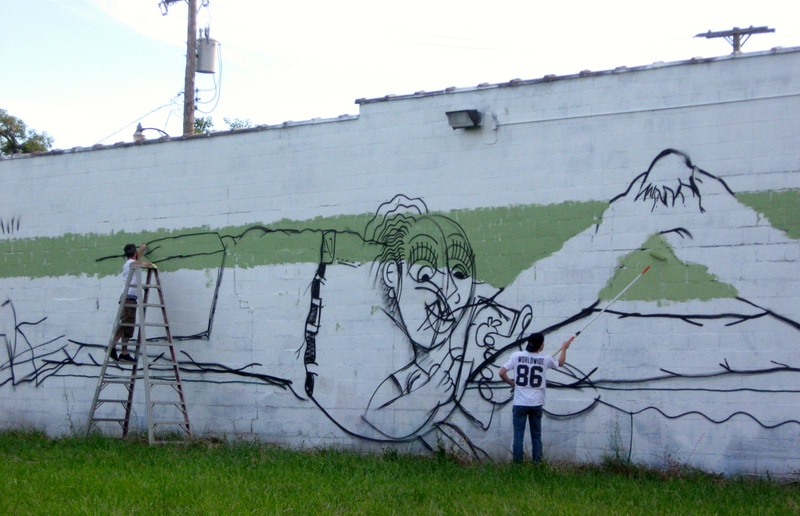 When looking at the photos, keep in mind that much of the work was done with nothing more than spray cans. Think about that. It’s pretty incredible! It’s worth a trip to the market to view the beautiful murals I’ve posted above along with the other 40 or so that were painted during the week-long event. 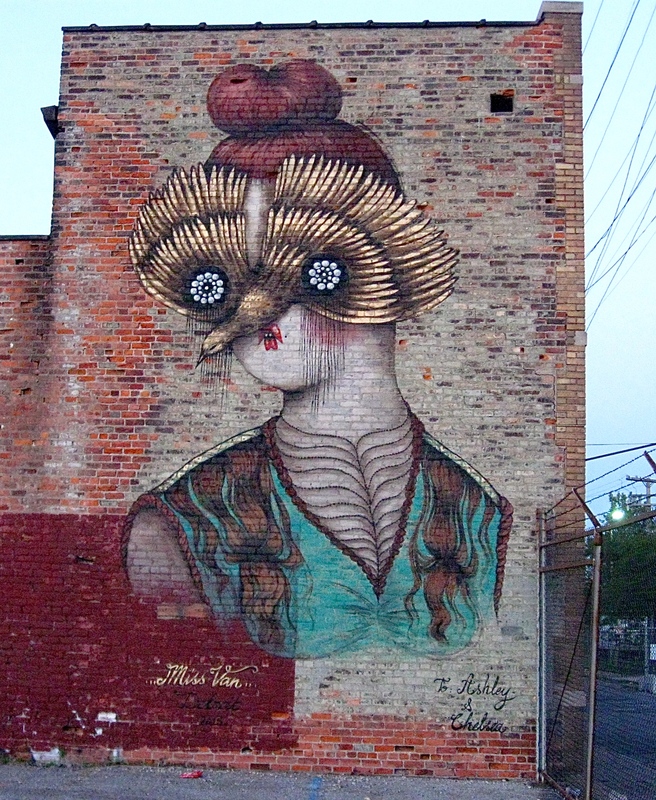 You’ll never know what you may find there, including this dazzling beauty found on a wall just off Gratiot Avenue. It’s one of my favorites! Reminder – you can click on any image to view them larger. 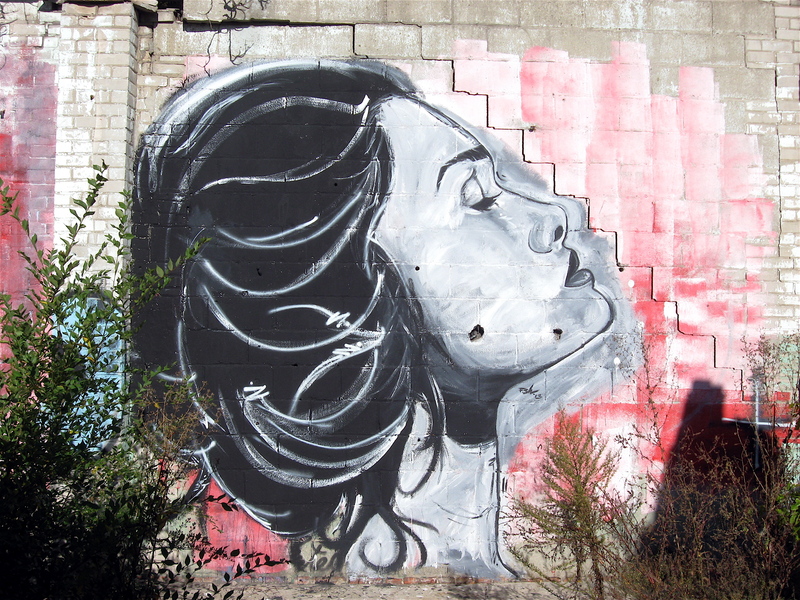 I see plenty of wall art on my bicycle rides. 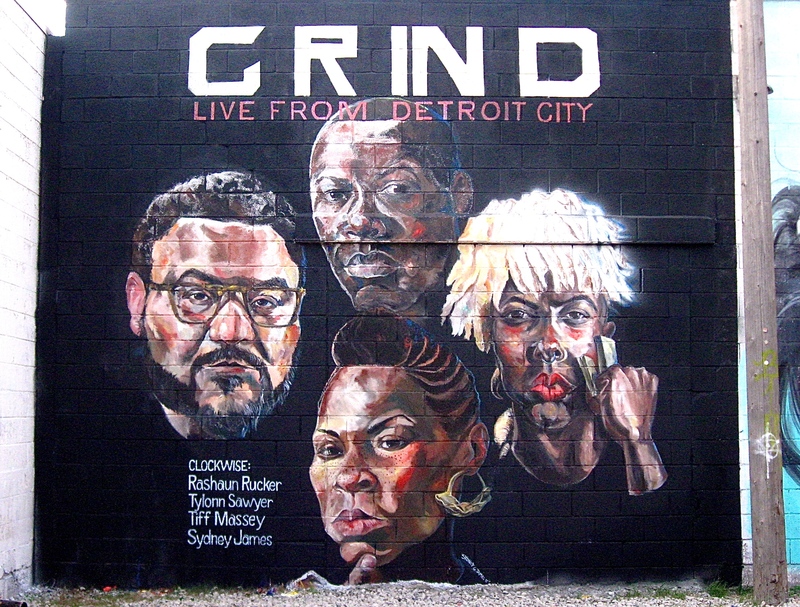 Some of the many pieces found on the walls of Detroit are colorful, abstract in design, and the execution can be flawless. Others incorporate monsters, birds and historical figures. 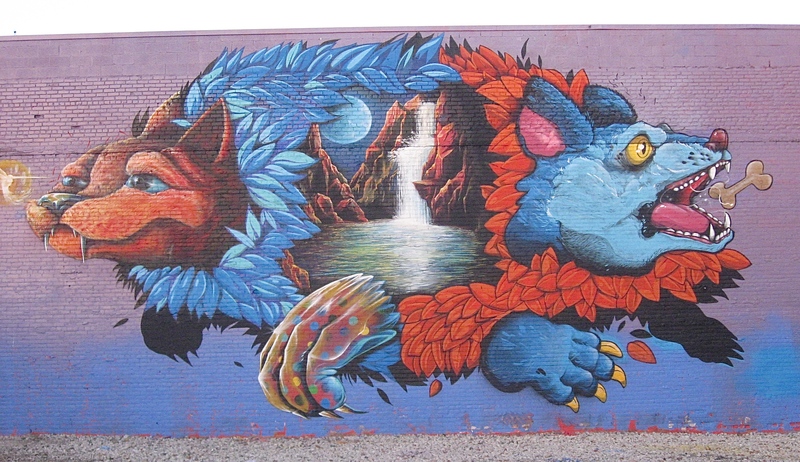 I’ve also seen lively cartoon characters that cover the sides of walls. 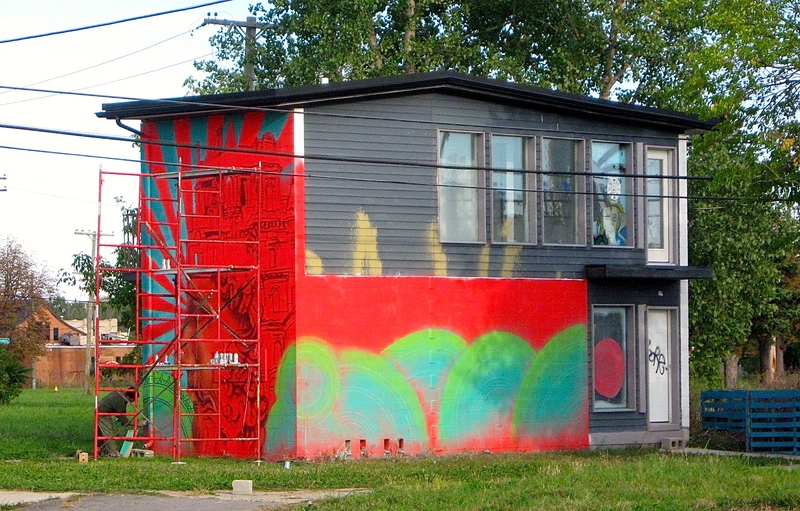 Recently I revisited a site to show a friend a specific piece of wall art on an adjoining building. While poking around that area I spotted a set of painted dancers that I had completely forgotten about. 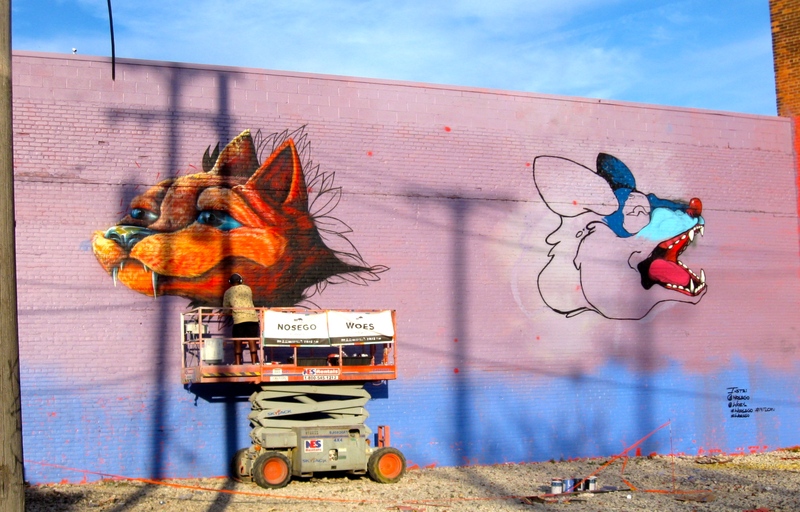 They were painted about a year ago on a couple of interior cement block walls of a roofless building that is in major disrepair. On those walls are five well done paintings of ballet dancers. Looking at them I was reminded of how captivating they are. They feature well-proportioned flowing lines of the bodies, which seems to create motion and movement. Their legs are well-toned, elegant, and positioned much like a dancer you’d see on stage. 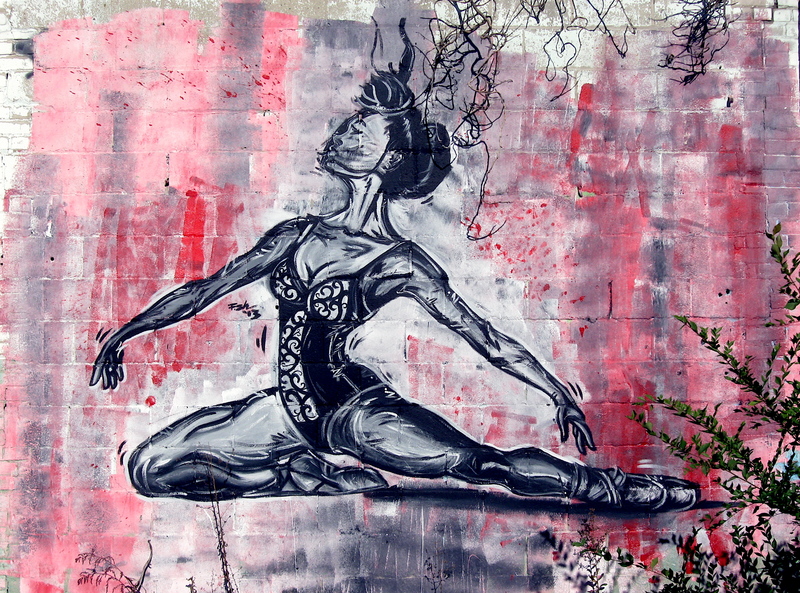 The wall paintings also feature long, thin flowing arms that create the look of a graceful maneuver found in a sophisticated dance routine or ballet pose. 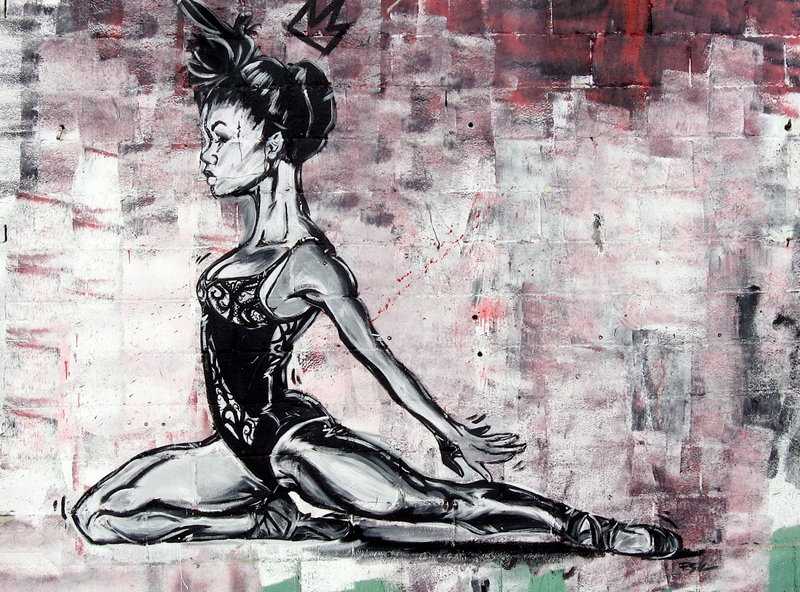 One of the wall pieces is a side view portrait of a dancer’s head that is simple in design, yet realistic in appearance. One of the things I really like about these wall paintings is the emotion and lifelike movements the pieces seem to deliver. I also like that they are all two-color paintings. Looking at them, it is easy to imagine the hard work, training, concentration, and effort real dancers must go through on a daily basis during their careers. Everything about them expresses movement, excitement, and elegance. 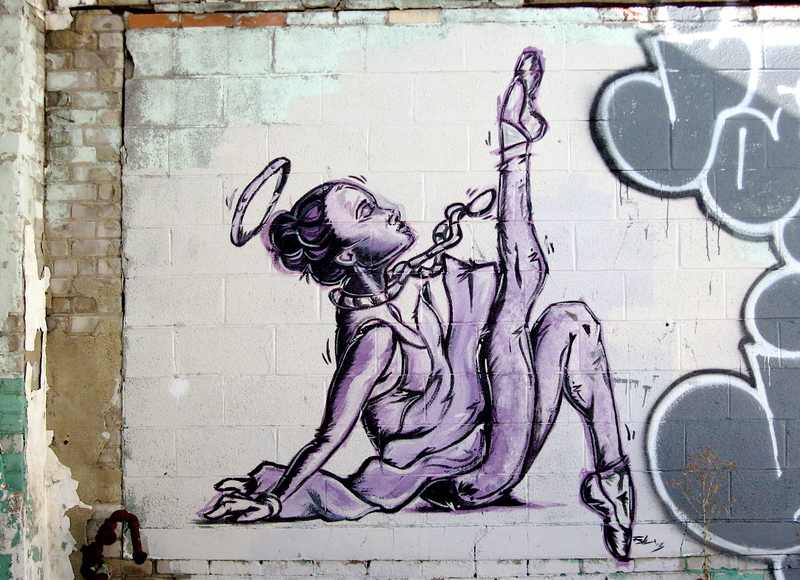 Kudos goes out to the talented artist that created these engaging dancers on a wall in Detroit.